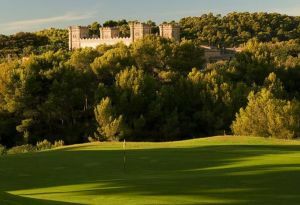 Real Bendinat is an attractive course with pretty spectacular sea views. One of its main plus points is playing against the backdrop of the magnificent Bendinat castle. 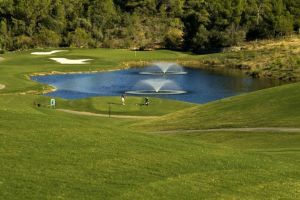 Many top tournements are held on this course as well as open air concerts. 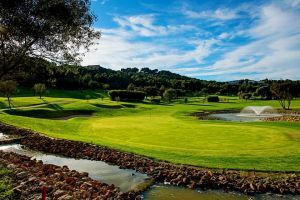 Eighty percent of the holes are dog-legs which can be a pain for the casual golfer, but if you have a decent handicap,l Bendinat is an entertaining course. 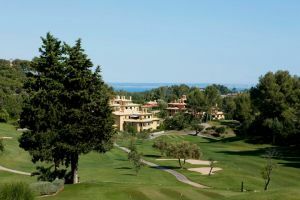 Located on the central Bendinat development and only two kilometres from the luxurious marina at Portals Nous, the course was extended from nine holes some ten or eleven years ago. Very popular with visitors and given the number of playing shareholders and their guests, your round may, on occasions, take longer than one would wish for. Much of the course is built round a steep valley, making the hire of buggies a must for the less mobile golfer and the downright idle. While shortish in distance and wide open in places this is not an easy course, but it is great fun. Bendinat is not yet in our pool of Golf Courses for orders.